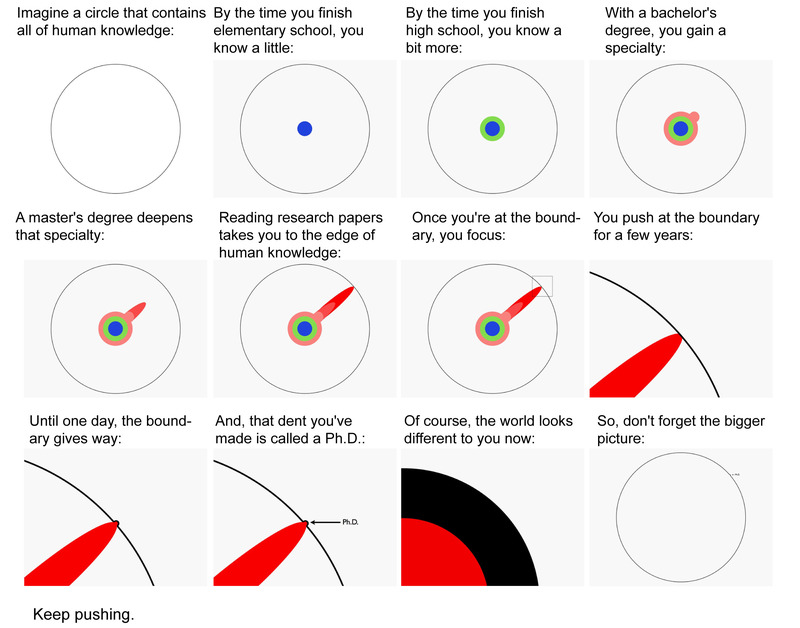 Getting a PhD is no easy task. I’ve never deluded myself into thinking so, after all, doctorate degrees aren’t offered as cereal box prizes. I knew it would be hard, what I hadn’t realized up until this point is the fundamental reason why becoming a doctor is so essentially harder than any other degree. Our expectation when we go to school, regardless of the level of education we find ourselves in, is to learn, encounter distinguished professionals in your field of interest, to broaden our understanding horizons of such topics, and gather a new set of tools, and ultimately to acquire knowledge (which is essentially different than information). However, when one makes a decision to become a PhD, one essentially changes the nature of his own role in his field of expertise. One is no longer a mere consumer of knowledge, but rather assumes the responsibility of becoming a producer of such. During a good portion of our lives, we stand in the shoulder of giants, but instead of looking forward and trying to see further, we look down, revisiting the details already seen by those who created the giant…and of such practice, we devote our lives’ path. Bu how to become a knowledge producer if all throughout our lives we were taught to consume it? I have written many other posts criticizing our education system, set up like a big Ford production line, with “quality tests” throughout the way…so I will be brief…but there is something wrong with this picture, and it is really sad to see the consequences of it in PhD candidates that can’t dissociate from this mentality and ultimately suffer after putting in so much effort to get to this point. As for me, I keep on battling just as on the figure above, doing my best to extrapolate, even if millimetrically the amount of knowledge available for all.